One of the best ways to boost your home’s value is by remodeling it. Remodeling the home will update the interior setting and can also boost your home’s curb appeal. Bathroom remodeling is the best way to add value to your home, but there are also other steps you can take. When you want to increase your home’s property value, here’s what you should do as a homeowner. Most people don’t assume that they can increase their home value with a new garage door, but the feature will transform the look of the exterior setting. You can spend $1,500 to $3,000 on a new garage door and get a return on investment of 83 percent. Choose a feature that complements the surrounding architecture and color scheme of the home to allow it to blend in well with the house. Replacing the fixtures, installing a new shower, adding new tile, and a porcelain tub will increase your home’s value with changes that are made. Bathroom remodeling can cost up to $16,000 but will update the home and reduce the risk of repairs that are needed in the future. A second story on your home not only makes the building stand out on the market but will also add extra square footage to your property that can significantly increase its value. The average cost of a second story is $155,000 but will provide you with a 71.8 percent return when it’s time to sell it. A quality wood deck will make it easy to spend more time in the backyard where you can entertain and lounge outdoors. The project will cost under $10,000 to build with a return of 87 percent. You can even add a place to barbecue or cook when you want to have guests over. This new addition to your home adds a brand new dimension to the original construction while adding an exterior entertaining concept. The kitchen is known as the most important room of the home where the residents spend the most time each day. The room can be updated to look stylish and help make the home more in line with the modern construction trends all around the country. Kitchen remodeling can mean replacing the cabinets, adding new countertops, and installing energy-efficient appliances that look sleek. Expect to spend an average of $18,000 and get 82 percent back. Making minor changes will transform the setting without overdoing it to ensure that it still blends in well with the interior setting. 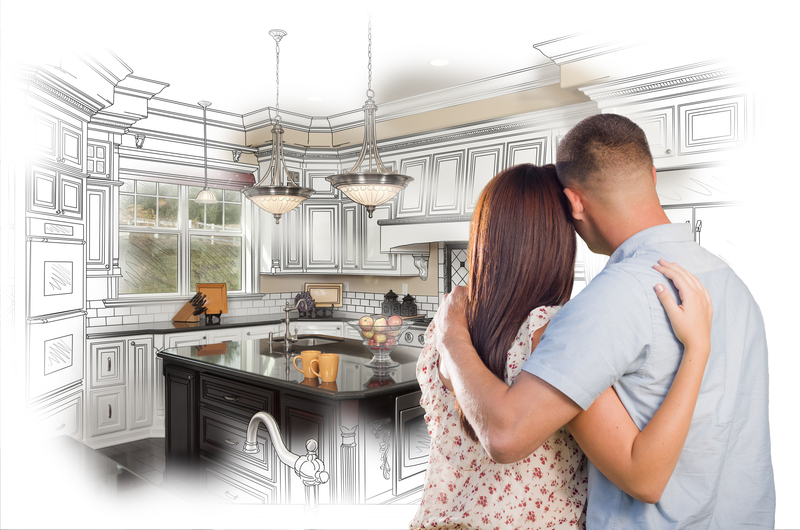 If you’re ready to take the next step in remodeling a home, La Cross Mortgage is here to help. We know it’s sometimes difficult to even figure out where to begin. Our team is here to make sure you understand the loan process and to give you the guidance you need every step of the way! See if you prequalify for a renovation loan today. Click here to Prequalify with La Cross Mortgage! Should I Buy a New or Used Home?